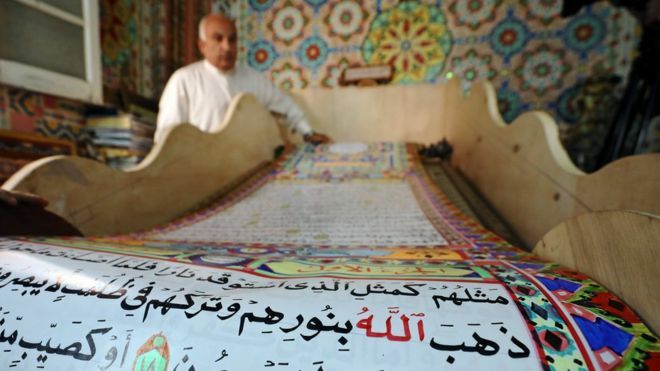 An Egyptian artist hopes to score a new record in Guinness World Record after he had spent three years writing what is thought to be the largest hand-written version of the Quran, the Muslim holy book. 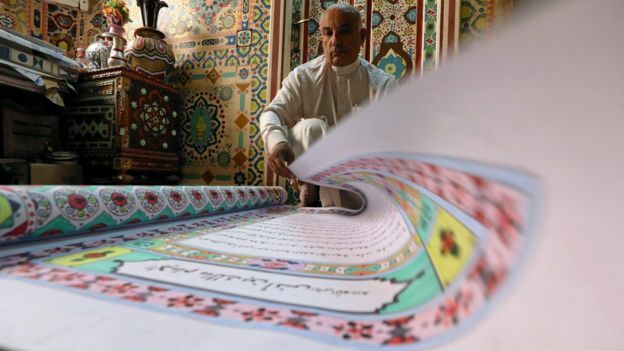 Saad Mohamed, who will submit his handmade Quran to be included in Guinness, has reproduced the Quran of 700 meters gigantic paper scroll, according to Reuters. When unfolded, the height of the handmade version may reach about 385 meters. It is thought to take up to five minutes of walking to finish it. Mohamed told Reuters that he had self-funded his project over the past few years. He hasn’t finished his education and has no assets whatsoever. He further added that he is hoping the government or any interested party will help with the costs of applying to Guinness. 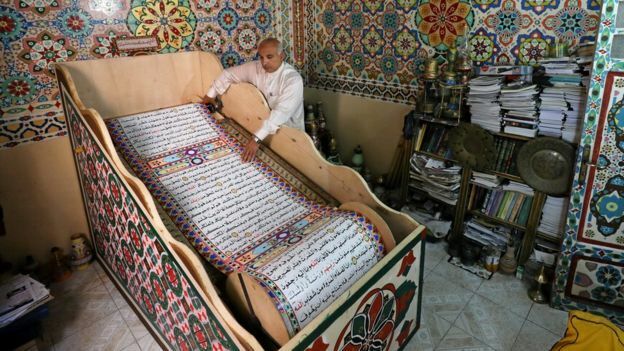 Currently, there are no large handwritten versions of the Quran recorded in Guinness. 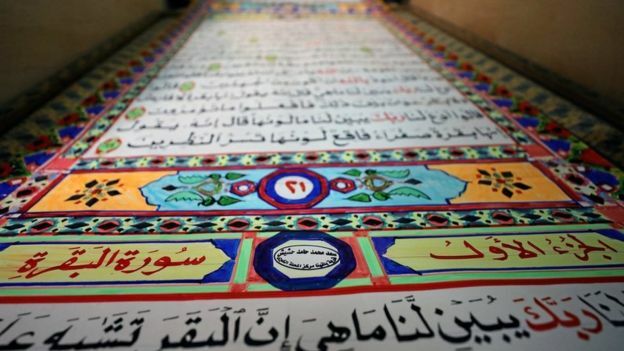 The oldest version of Quran recorded in Guinness dates back to 655 A.D and was written by the order of the Muslim Caliphate Uthman Ibn Affan.